Nowadays, we are well aware of China's impact on the world economy, but it's really nothing new. 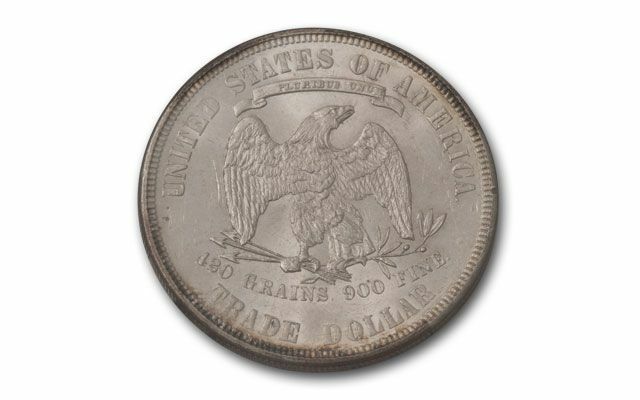 Back in the 19th century, China's economy was so powerful that the U.S. Mint was almost forced to make these 90% silver Trade Dollars to satisfy the Chinese. 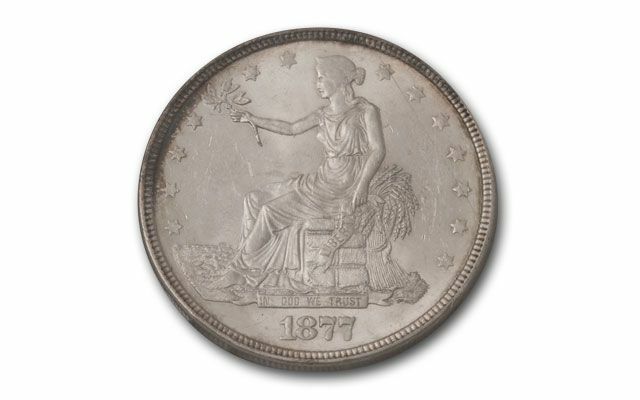 You see, they have more silver than regular U.S. Silver Dollars, and that's what Chinese merchants wanted. So many are marked with Chinese characters to verify their weight that they're much harder to find and much more desirable without them. 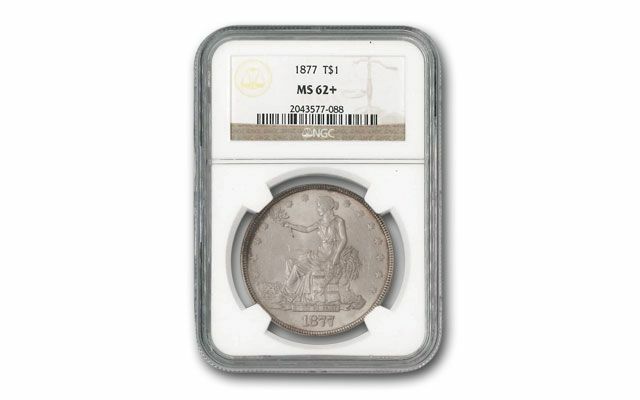 We have one example here graded Mint State 62+ (MS62+) by Numismatic Guaranty Corporation (NGC). 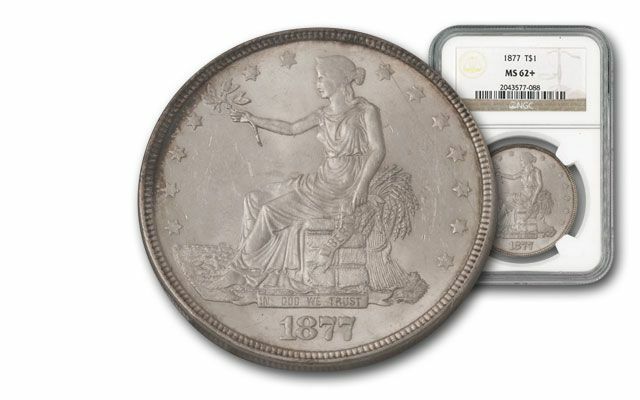 Just a tad over 3 million coins were minted in Philadelphia in 1877, and very few survive in this high grade.